Ariana Grande’s still got Mac Miller heavy on her mind … and she wanted to let her fans know exactly how much before beginning her world tour. 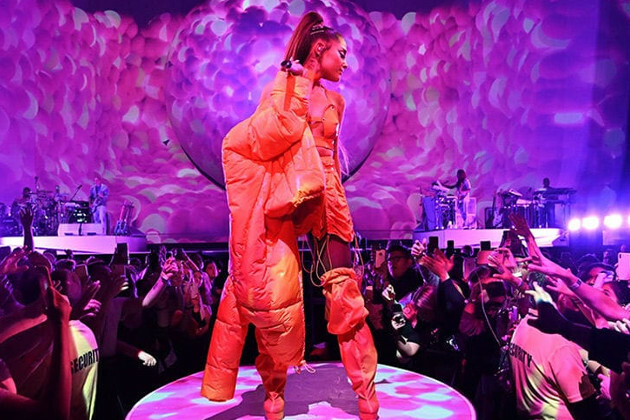 The “thank u, next” singer kicked off her Sweetener tour Monday night at the Times Union Center in Albany, NY … but before coming onstage, Ariana rolled out some Mac tracks … as a homage to her late boyfriend. Mac’s “Dang!” was the final song to play before Ariana came out. No doubt it was an emotional night for Ariana, who told fans during soundcheck her setlist would NOT include “ghostin” or “imagine” because they would be “too heavy” to perform. As you know by now … those tracks seem to be about Mac Miller, who is also referenced in “thank u, next.” Ariana’s been mourning Mac since he died from an accidental overdose back in September.